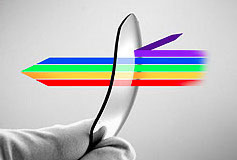 A high quality type of nylon characterized by an extremely high bending strength. 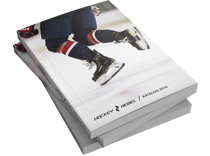 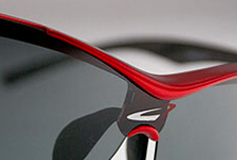 Lightweight, tough and shape-retaining material that is also exceptionally impact-resistant. 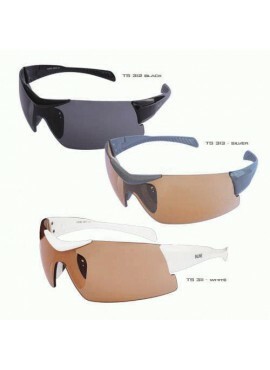 It is used in sports glasses because of its shock resistance, flexibility, durability and non-allergenic properties. 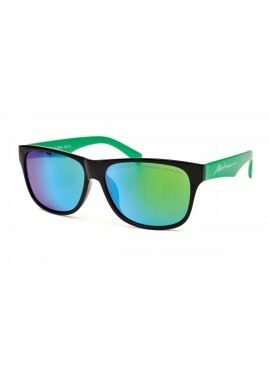 REVO Treatment. 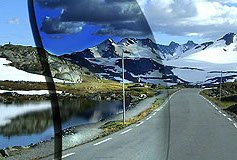 A coating consisting of 12 to15 protective layers which reflect the harmful light rays and provide perfect protective and visual qualities. 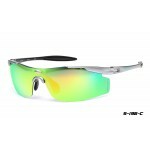 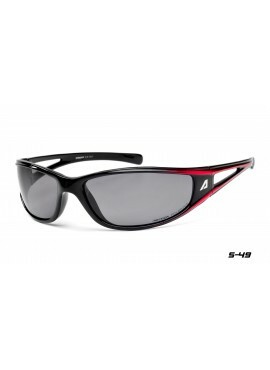 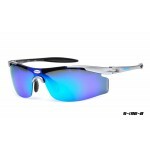 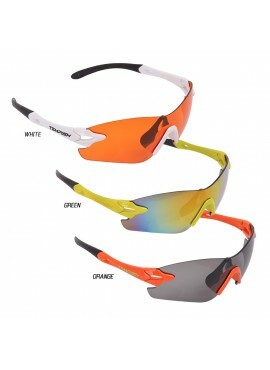 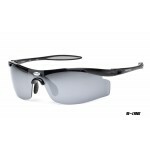 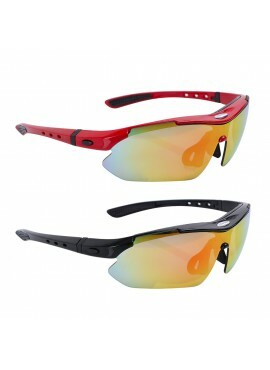 Ideal for sports eyewear. 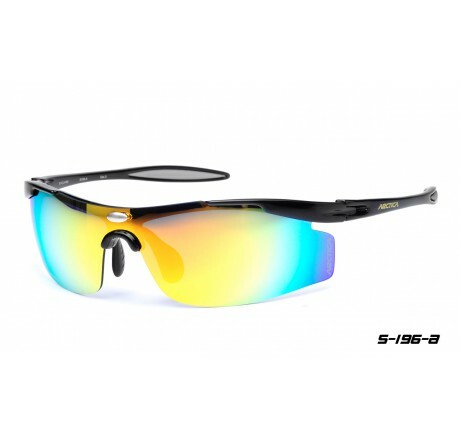 Polarized lenses are designed to reduce irritating reflections and glare caused by light reflected from surfaces such as water, road, sand or snow. 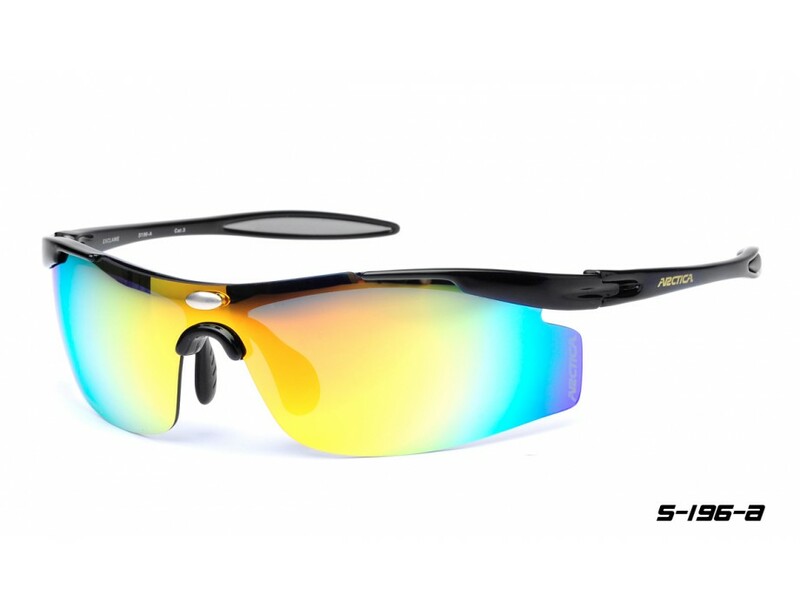 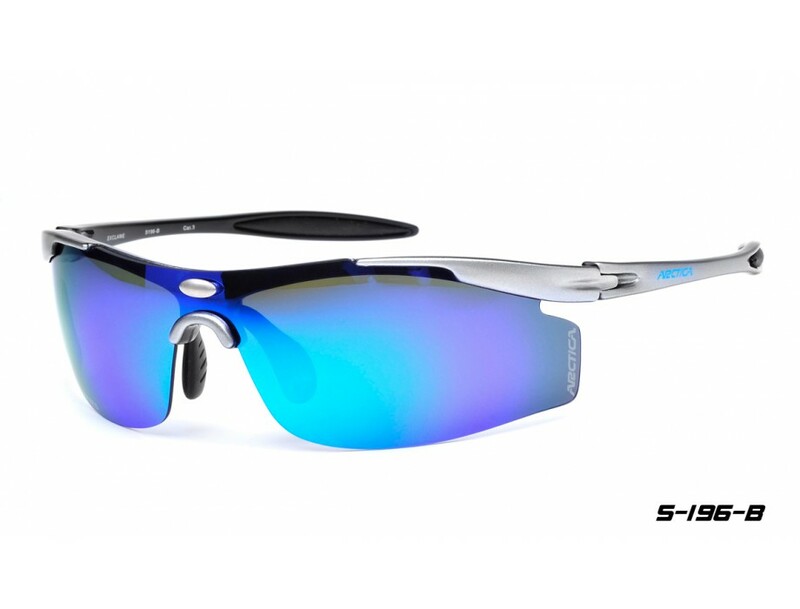 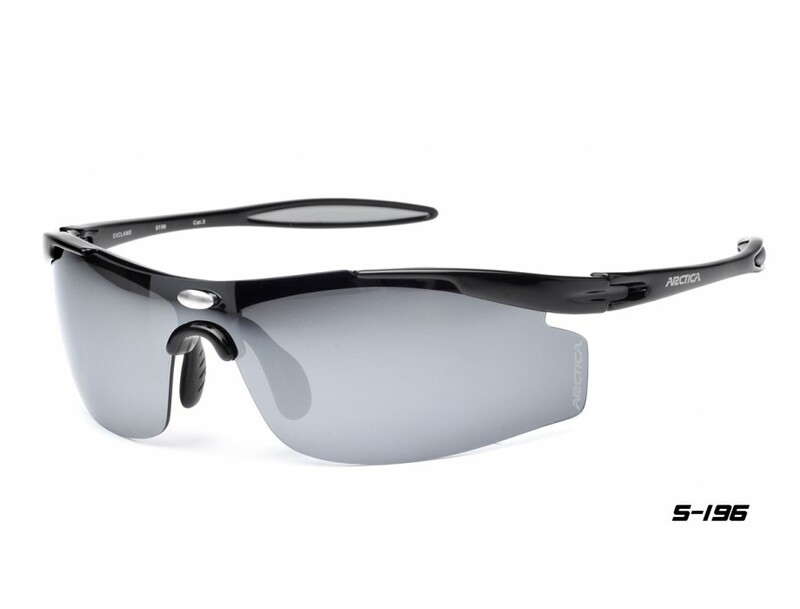 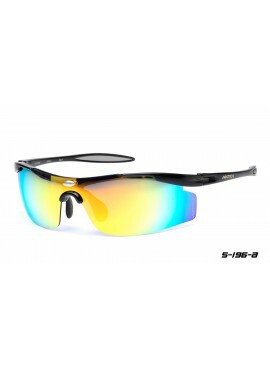 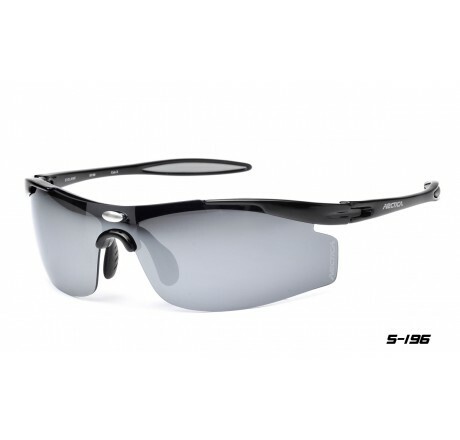 All polarized lenses absorb 100% of UV light and eliminate 99% glare light. 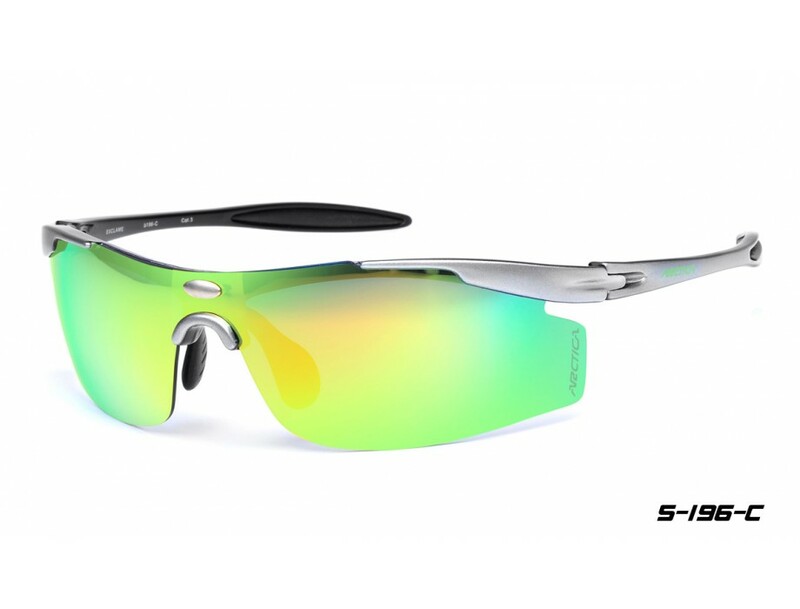 They enhance visibility by improving color contrast. 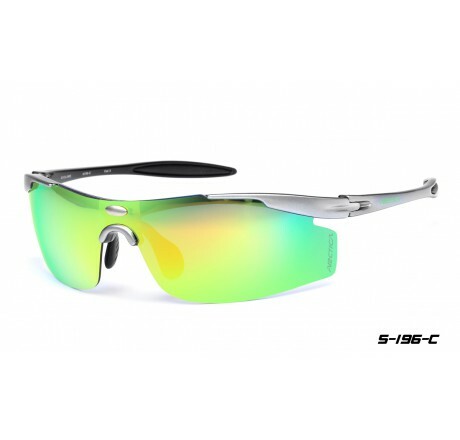 Polarized sunglasses are particularly popular with fishermen, boaters, skiers, snowboarders, bikers and other outdoor sports enthusiasts. 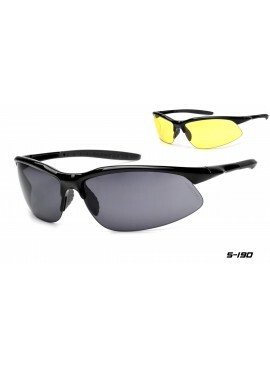 In fact, all wearers who work or rest in the sunshine will enjoy a clearer view and elimination of glare. 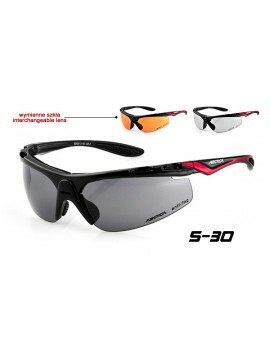 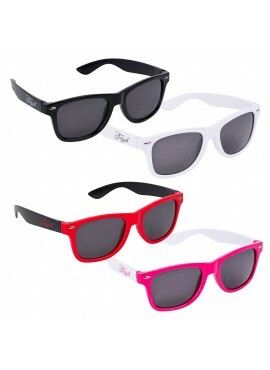 Polarized sunglasses are the perfect driving glasses due to the glare reduction. 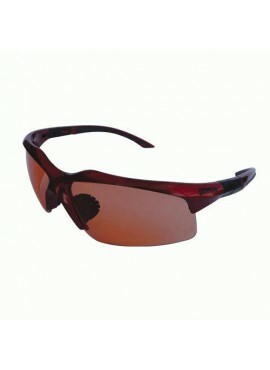 They can also be used by people who suffer from oversensitivity to sun rays. UV400 protection UV 400 treatment blocks all three ranges of ultraviolet radiation: UVA, UVB and UVC and protects the human eye 100% from harmful effects of the sun rays. 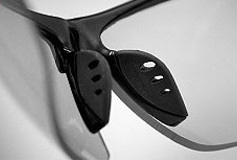 Rubber nose pads guarantee a non-slip, pressure-free fit and reliable eye protection, significantly improving wearing comfort. 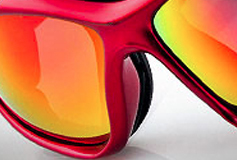 Made of soft, non-allergenic material.